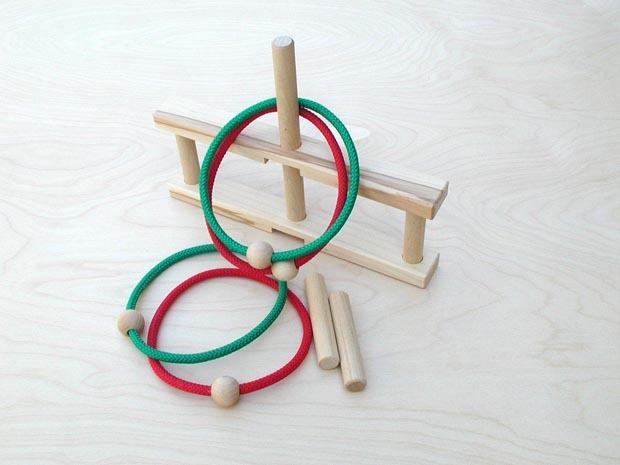 * Our sturdy Hard Maple Ring Toss Game offers open-ended play and helps improve hand-eye coordination while having fun!. 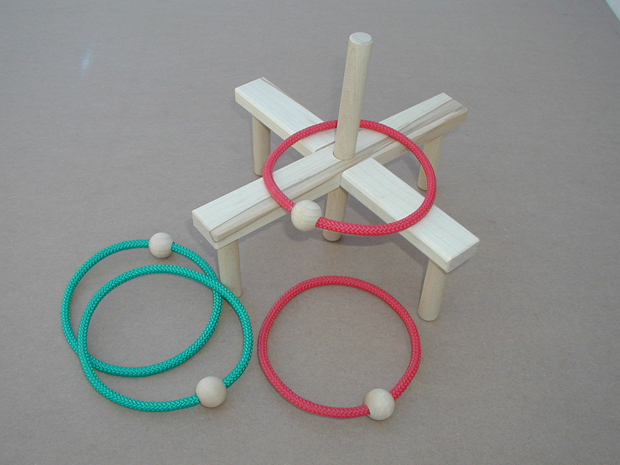 * Easy to assemble, the Ring Toss comes with two base pieces, four target posts, one anchor post and 4 rings to toss. * Making the target is half the fun!. 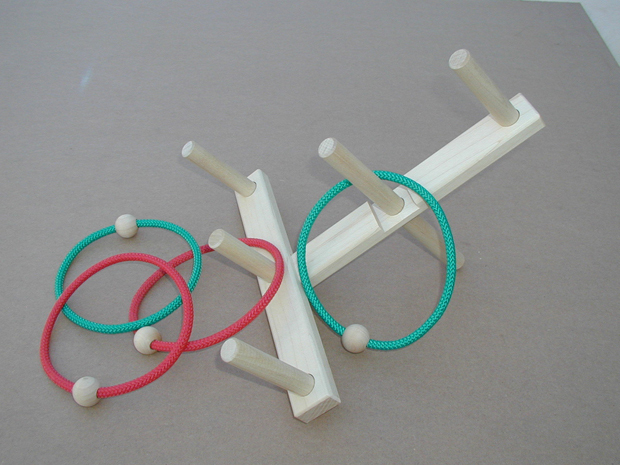 * Arrange the base pieces and posts for various levels of difficulty. * All surfaces are smooth with rounded edges.